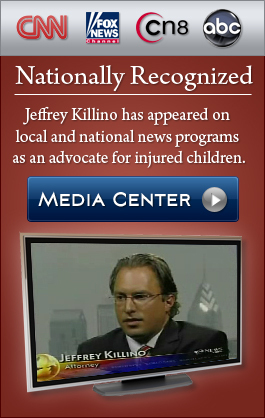 Jeffrey Killino is known nationwide for his tenacity and dedication to holding all those who have caused a child’s birth injury or death accountable through legal action. If your child has died during childbirth or has sustained a birth injury due to medical negligence, highly regarded birth injury attorney Jeffrey Killino is here to guide you through this difficult time and fight for justice for you and your child. The trauma of childbirth can result in injuries to babies even in the absence of negligence by healthcare providers who have assisted in the child’s birth or the care of the mother during her pregnancy. But, a great many birth injuries are caused by medical malpractice. The negligence of an obstetrician or other medical personnel can result in a child’s cranial or spinal cord injury, umbilical cord strangulation, cerebral palsy and other asphyxiation injuries, Erb’s or brachial plexus palsy, and many others. Injuries may also occur through the improper use of forceps or vacuum devices to assist delivery. Our birth injury and birth trauma attorneys have acquired considerable expertise and experience with all types of birth injury and birth trauma cases. No matter what the cause of your child’s birth injury or death, they will dig deep until they have identified the birth injury causes and the parties responsible and will do their utmost to obtain every bit of the compensation you deserve. Many birth injuries are caused by medical negligence during the labor and delivery stages of childbirth. In some cases, the hospital in which a child is born may be responsible for such injuries as a result of inadequate policies, equipment, or training of medical personnel. 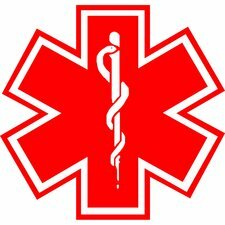 Doctors and nurses assisting in the delivery of a child may negligently cause a child’s death or birth injury by failing to properly monitor the vital signs of mother and fetus for indications of distress or by failing to timely and adequately respond to distress after it is detected. Our team of labor and delivery attorneys possesses comprehensive knowledge of both the medical and legal aspects of labor and delivery injury cases and will put that knowledge to work for you in achieving justice for your child. Asphyxia injuries are injuries caused by a lack or reduction of oxygen to a fetus. Such injuries may be due to medical negligence through the failure to recognize and timely respond to nuchal cord (the wrapping of the umbilical cord around the baby’s head), breech presentation, or problems with the mother’s placenta, to name just a few. The cut off of oxygen to a fetus can result in serious injury, such as cerebral palsy, brain damage, or death. Our asphyxia injury lawyers have extensive experience with asphyxia injury cases of all types and will fight vigorously for justice from those who have caused your child’s asphyxia birth injury or death. Cerebral palsy, or CP, is a type of birth injury that results from damage to a baby’s brain and may be caused by medical mistake during childbirth or a mother’s pregnancy. In some cases, CP that was not caused by medical negligence can be enhanced (made worse) by a doctor’s negligent failure to diagnose a child’s cerebral palsy during the child’s first few months or years of life. Our cerebral palsy injury lawyers have handled every type of cerebral palsy case and fully understand the complexities of causation and liability issues associated with these devastating injuries. HIE, or Hypoxic Ischemic Encephalopathy, is an injury to a child’s brain that may be caused by asphyxia, or lack of oxygen to the fetus’s brain. HIE injuries may result from medical malpractice during a mother’s pregnancy if, for instance, nuchal cord develops and is not timely detected or handled. HIE can also occur from medical negligence during labor and delivery through the failure to adequately detect and manage indications of fetal or maternal distress. Our HIE attorneys have a wealth of experience with HIE birth injury cases and will put that experience to work for you. Brachial plexus palsy is a loss of or reduction of the ability to control movement in a child’s arm, hand, fingers, or shoulder as a result of damage to a group of nerves near the clavicle, called the brachial plexus. These injuries often result when a baby is pulled or stretched during a difficult delivery. They can be due to negligence not only during the labor and delivery stages of a child’s birth but also during the mother’s pregnancy. Our brachial plexus palsy attorneys are well versed in the myriad causes of these injuries and will do everything in their power to see that those who have caused your child’s brachial plexus palsy injuries are held liable in a court of law. Erb’s palsy is a particular type of brachial plexus palsy that, like other brachial plexus palsies, may have lifelong consequences for a child afflicted with this birth injury. Erb’s palsy may be caused by the same sorts of medical negligence that can lead to other brachial plexus palsies. Our Erb’s palsy lawyers have extensive experience with these and all types of brachial plexus palsy cases and are ready to fight for the justice you deserve for your child’s Erb’s palsy injury. Birth injuries or deaths may be caused by the negligent failure of an obstetrician to order a C-section when one is indicated or to timely and appropriately perform an indicated and ordered C-section. The failure to diagnose may occur not only during labor and delivery but also during a woman’s pregnancy, if complications such as nuchal cord occur. Anesthesiologists as well as surgeons and nurses may negligently cause a child’s injury or death during a C-section procedure. Regardless of the cause of your child’s C-section injury or death, our Caesarean section attorneys will do everything in their power to see that you and your child obtain the compensation to which you are entitled. Childbirth complications may occur naturally, without the negligence of hospital or other medical personnel assisting in the birth of a child. When these complications result from medical negligence or are managed in a negligent manner, serious injuries and death may occur to either mother or child. Our childbirth complication injury lawyers have achieved success in all types of childbirth complication cases and are well known for their expertise in unearthing the causes of such birth injuries as well as identifying all who are responsible for their occurrence. We will pursue your child’s birth injury case with all the tenacity, aggression, and dedication required to hold those responsible for your child’s injuries accountable and to achieve some measure of justice for you and your family.